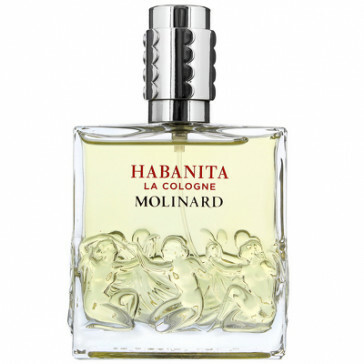 Habanita La Cologne is de jongere frissere versie van de prachtige klassieke Habanita uit 1924, de ingredienten zijn nootmuskaat, bergamot, citrus, ylang ylang, rozen, viooltjes, vetiver en cederhout. Drenched in the characteristic Habanita audacity, steeped in its star ingredients, the accord is instantly recognizable. Habanita La Cologne embodies an edgy sensuality. It is young, fearless, bewitching - the smoldering ember beneath the flame! Outrageous sophistication that becomes addictive in the beat of a heart. The notes feature nutmeg, bergamot, lemon, ylang-ylang, rose, rosewood, violet, vetiver, oakmoss, cedar and amber.